Kathi has been at it again. 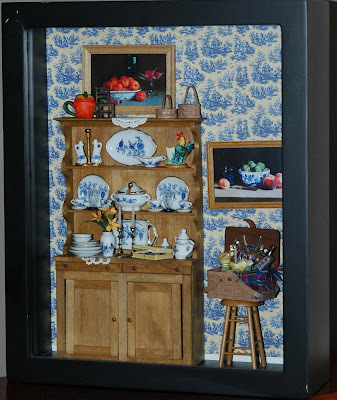 Creating wonderful pattern for dollhouse size dolls and also a 6" cabinet size doll. One of the pattern is available as a dressmakers kit too. In 2 different color ways. The kit is limited as a limited edition silk was used. 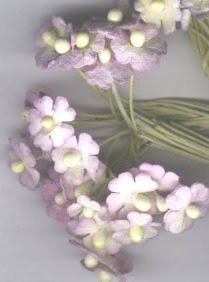 Available as shown or in a green/ecru combination. Click here it view. Christmas arrived during our project. My friend and fellow Doll Artisan Kate Forrest had “borrowed” some suede from me to make a shoe pattern for us. What we got was completed boots and purse for Christmas. Pat and I were thrilled. I thought I would share the boots, and you will see the purse with the other accessories in a later edition. Kate also made the wig for my doll, as, well, I am not so great at that! Okay, so now you know I do not do wigs. We all have to be lousy at something. I am good at many other things, though! 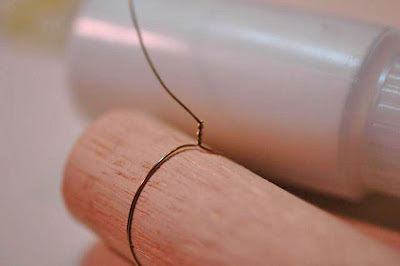 Wire, 28 gauge is nice, wire cutters, glue, 2 or 4 mm ribbon and something round as a 1/4" and 3/4" template. I used a wood dowels. 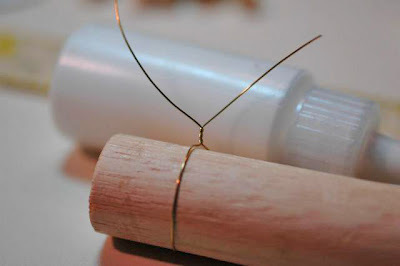 Wind the wire around the dowel and twist about 3 times. 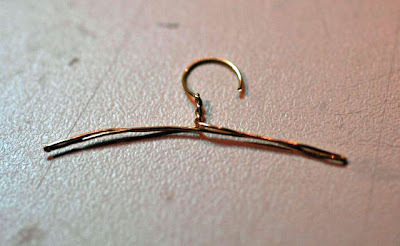 Cut away one of the wires and leave the rest to make the actual hanger portion. 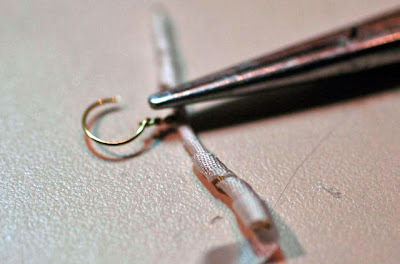 Use the 1/4" dowel as a form to create the top loop for the hanger. 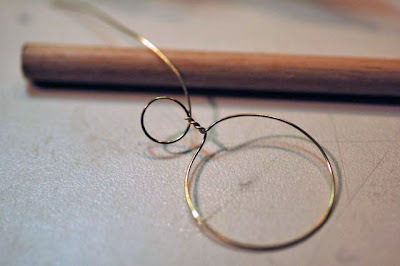 Cut away excess wire at approximately 180 degrees. You can get a better shape later. Flatten the wire. Keep sides even, you want the left and right sides to be equal. The hanger wires should be flattened tightly. 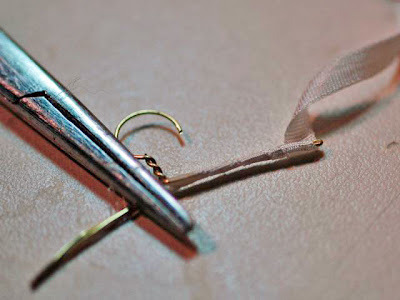 The left and right sides equal on either side of the hook. 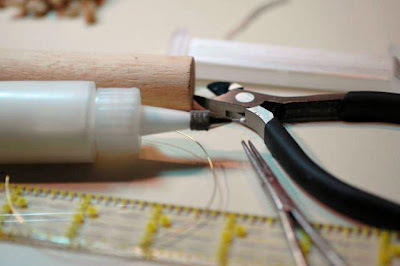 Begin in the center with a dot of glue. 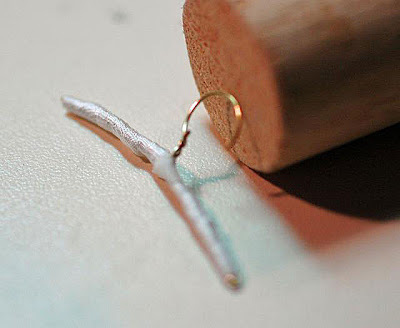 A light brushing of glue along the wire is okay. 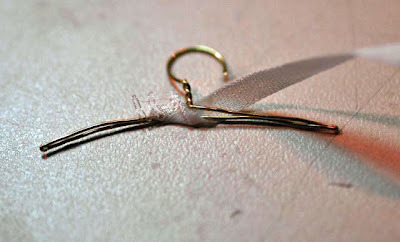 Wind the ribbon diagonally to one end of the hanger. When you reach the end, wind around the end and return to the center in the same fashion. When you arrive at the center wrap to the end the same as you did the opposite side. Complete wrapping back to center, glue the end and snip away the excess. 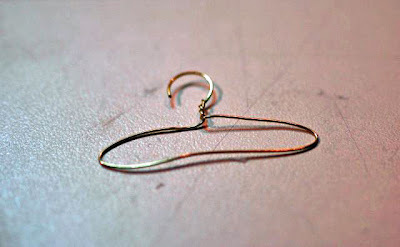 Tie a small bow to accent the hanger. 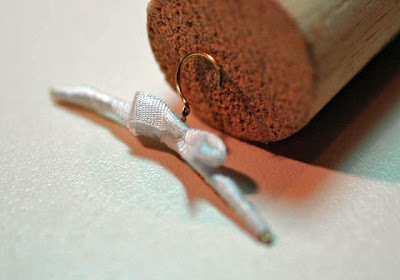 Bend the loop back and shape the hanger hook to your liking. Hang your dress in the closet on the dressing screen. Make an assortment of colors to strew around. Use your imagination. These are simple and don't take much time. Thank you for visiting our Blog and hopefully you enjoyed the tutorial. Emilie now models her slip. The mid Victorian period was one of opulence. The correct undergarments, an under slip, then hoops, and an over slip hiding the hoops would have been worn. For the sake of poor Emilie and the interest of truth telling, she does not have a hoop or an under slip. 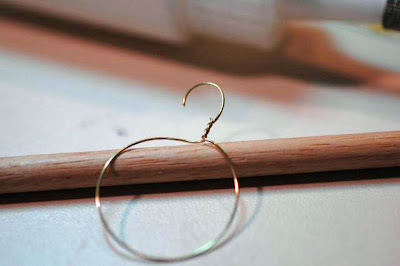 (I have not made a hoop, yet.) Therefore, we pretend! Emilie’s slip is made of fine Swiss batiste with rolled and whipped entredeux and Swiss lace edging. This slip will support the voluminous skirt. Next time we will take a look at the garment progressing. Finally, Finally, Finally.... I found a Silk Tissue Taffeta almost made for miniature and smaller scale dolls. So fine and light weight but still crisp. 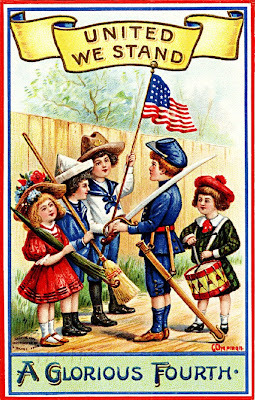 And in 24 colors. It is a must have...You will fall in love with it! Michelle and I thought it might be interesting to see a doll and her garments go together. I made this doll, a 12" Lady Jumeau French Fashion quite some time ago. However, she sat around naked for so long I was afraid the dolly police were coming every time the doorbell rang! 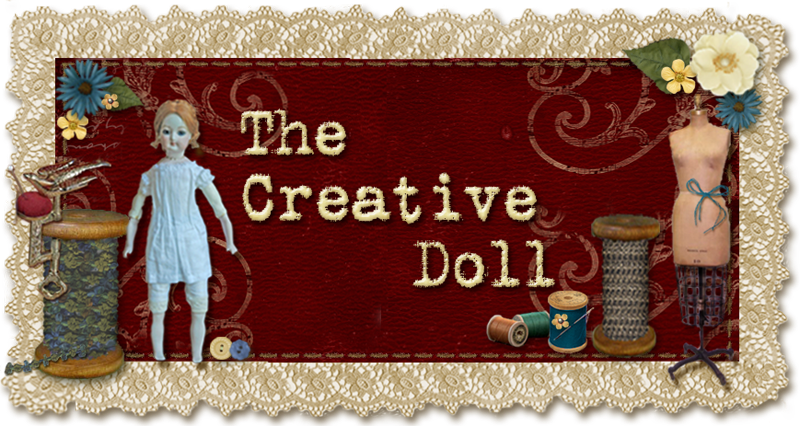 So, two of my friends and I set out to make new clothes for our dolls. 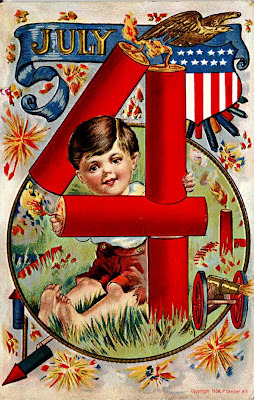 When we do this, each one of us makes the pattern and teaches the class for the doll, and when we get together for birthdays, we get presents for them as well. If you do not belong to a club, this is a wonderful way to play. I thought I should name her and I love the name Emilie Claire. Therefore, she is Emilie Claire. I had not taken a picture of Emilie in body, but she is a porcelain head with set in blue glass eyes. Her body is leather and stuffed. This figure is created from scratch by me so, be kind. Here you see Emilie wearing her pantalets and chemise. The chemise was a utility undergarment of fine cotton, easily washable. This garment protected the outer garments from perspiration and dirt. I imagine it protected the skin a bit as well from the corset stays. Next time we look at her corset!